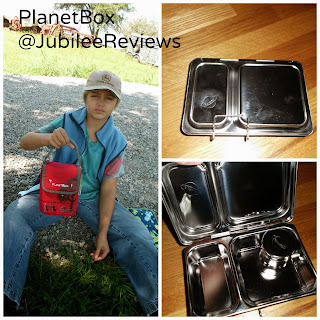 PlanetBox is a great leader in Eco-friendly lunches. 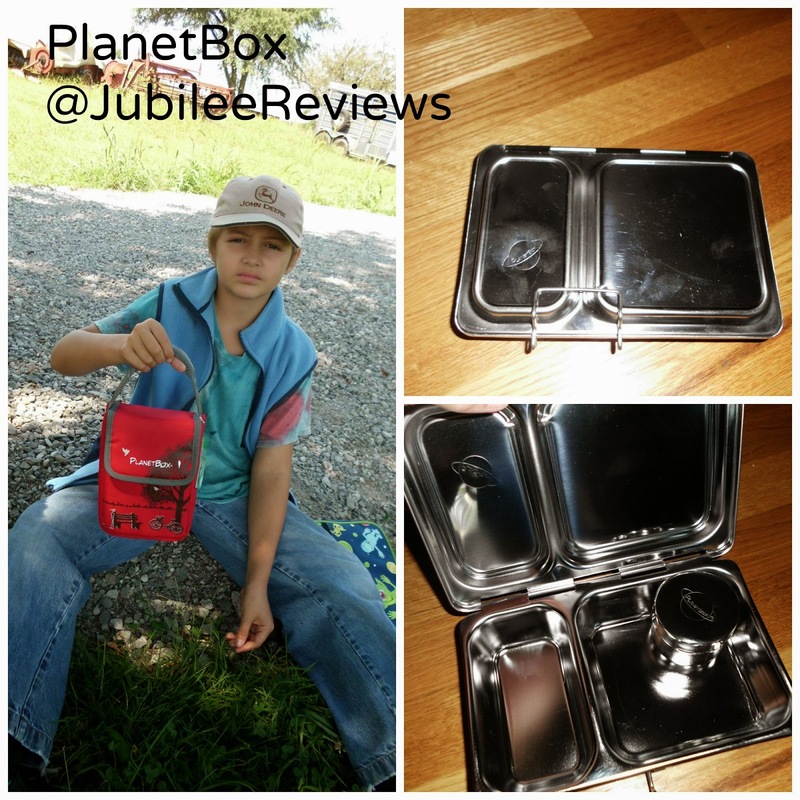 PlanetBox has three different lunch systems available. I was able to review the Shuttle, which is the smallest unit. It has 2 compartments and 1 dipper. It holds approx 3 cups of food and is perfect for small lunches and snacks. The PlanetBox helps with eating healthy and portion control. Great news is it is dishwasher safe! Make those little ones lunches and just stick it in the dishwasher each night before you repack. The dipper is fantastic for putting dressings, dips and small liquid type foods. The carrying case is very sturdy and they are super cute for all ages to carry for lunch! It comes in 4 designs and you are sure to love them all! 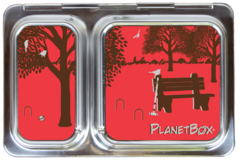 You can choose which magnet set you want to decorate your stainless steel lunch box. The Shuttle is the perfect size for trips to the park when you want to take a long a mid morning snack. Perfect size for toddler and young kids to hold and handle. Durable and super cool for all ages.